Around the world sea level is rising. Compounded by stronger and more frequent storms, lives and infrastructure well beyond beaches and ocean front properties are increasingly at risk for flooding and worse. Protecting natural barriers and wetlands from additional development, along our coastlines and in impacted inland waterways, is critical to saving wildlife and helping to prevent new catastrophic loss resulting from events like super storm Sandy. Coastal states are now developing additional adaptation projects to help protect communities, industry and agriculture in flood prone areas. (Documentary). 5-2014 We’ve updated the preview clip for our documentary currently in production, “Adapting to Sea-Level Rise.” New interviews in Washington DC with Manley Fuller of Florida Wildlife Federation and former US Representative for Delaware and Co-Author of the Coastal Barrier Resources Act, Tom Evans. 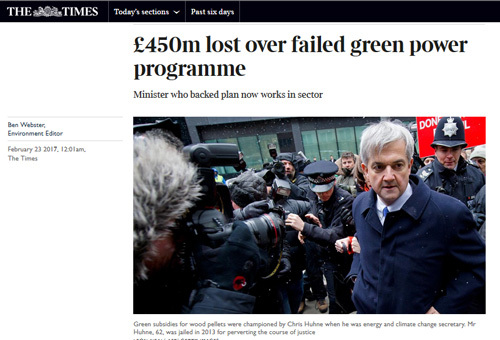 Green subsidies for wood pellets and other biomass were championed by Chris Huhne when he was Liberal Democrat energy and climate change secretary in the coalition government. Mr Huhne, 62, who was jailed in 2013 for perverting the course of justice, is now European chairman of Zilkha Biomass, a US supplier of wood pellets. Countries in the EU, including the UK, are throwing away money by subsidising the burning of wood for energy, according to an independent report. While burning some forms of wood waste can indeed reduce greenhouse gas emissions, in practice the growing use of wood energy in the EU is increasing rather than reducing emissions, the new report concludes. 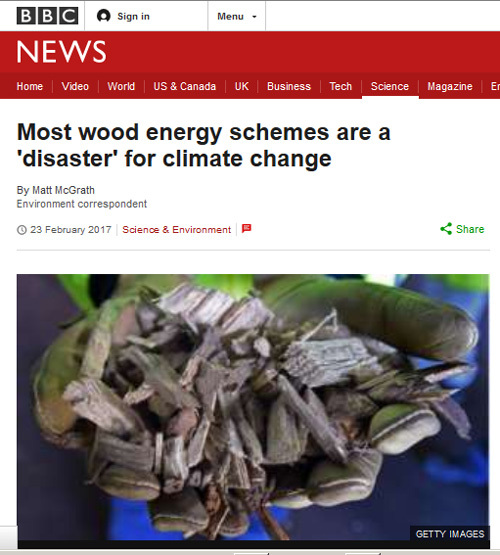 Overall, burning wood for energy is much worse in climate terms than burning gas or even coal, but loopholes in the way emissions are counted are concealing the damage being done. The money would be better spent on wind and solar power instead, he says. It is widely assumed that burning wood does not cause global warming, that it is “carbon neutral”. But the report, which is freely available, details why this is not true. Firstly, burning wood produces more carbon dioxide, methane and nitrogen dioxide per unit of energy produced than coal. When forests are logged, their soils also release carbon over the next decade or two. There are also emissions from the transport and processing of wood, which can be considerable. That’s according to a new study which says wood is not carbon neutral and emissions from pellets are higher than coal. Subsidies for biomass should be immediately reviewed, the author says. But the industry rejected the report saying that wood energy cuts carbon significantly compared to fossil fuels. While much of the discussion has focussed on wind and solar power, across Europe the biggest source of green energy is biomass. It supplies around 65% of renewable power – usually electricity generated from burning wood pellets. 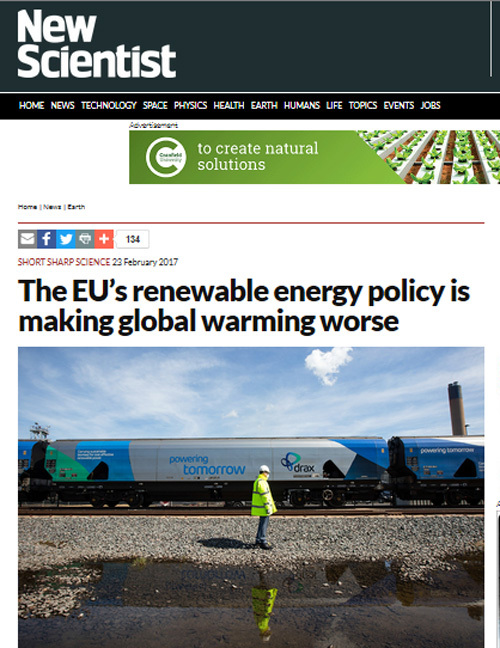 EU Governments, under pressure to meet tough carbon cutting targets, have been encouraging electricity producers to use more of this form of energy by providing substantial subsidies for biomass burning. However this new assessment from Chatham House suggests that this policy is deeply flawed when it comes to cutting CO2. 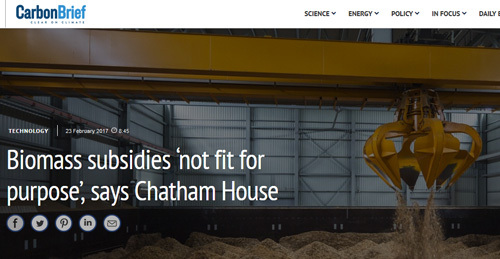 The U.K. government’s view of biomass as a carbon-neutral energy source is a “flawed assumption,” according to report from Chatham House. 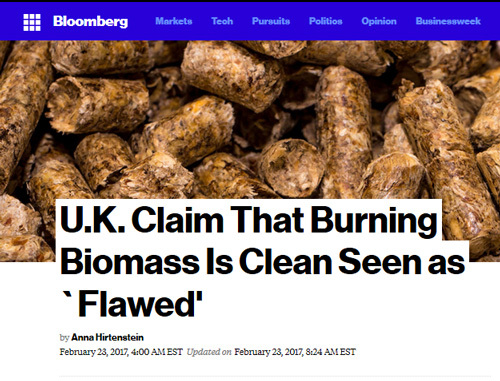 The U.K. counts emissions from the supply chain that produces and delivers wood pellets or chips used in biomass power plants, but not when they’re burned to make electricity, the London-based research group said Thursday. The report rebuts government policy, and comes as power producers including Drax Group Plc are using more of the fuel in an effort to reduce emissions produced from coal.